– How does our Leafmesh work? NZ Gutter Protection has been providing quality service and workmanship to home owners since 2005. We can offer you the most effective fully installed gutter protection system and you will find our service is second to none. Maximum strength product suitable for all roof types and conditions. 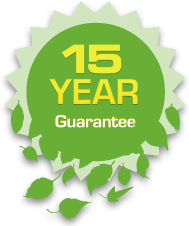 The most proven and trusted – installed on roofs for over 15 years and has been improved in strength and design over this time.